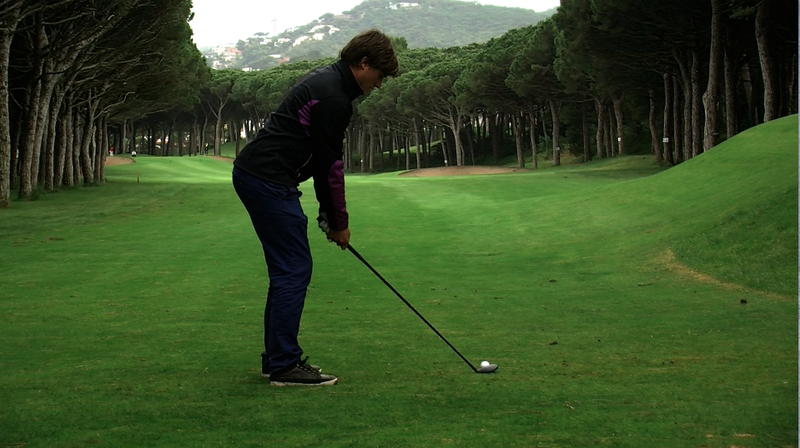 Golf Platja de pals , on the Costa Brava in Spain, is a beautiful golf course built by the legendary designer, F.W. Hawtree. Built out of a Mediterranean Pine forest planted 70 years ago, Platja de pals lies on a unique piece of land. Each hole is framed by mature sea pines with huge canopies on top of tall trees trunks. It’s like some psychedelic dream in which you’re playing golf in a forest of broccoli sprouts. Hawtree did a remarkable job with his design. There are some very imaginative holes and fairways that dogleg left and right. Many of the greens are hidden from the tee with the treat of finding where Hawtree has put the green. The front nine is narrow, reminding one of bowling alleys from the tee. As the bordering pine’s canopies have matured, their spread has narrowed the fairways in the air. In fact, hole #11 has two massive pines whose treetops have converged to the point you have to carry over the top of them. Luckily, with the elevated tee and having the green several meters below the tee makes it easier. I’m sure that the smart guys out there have said you could go under them? Uh, no. Hawtree has placed three bunkers directly in front of the green with faces that look like waves that any surfer would love to rip turns on. It’s a great hole, scenic and a high playability factor. Unfortunately, while the course runs parallel with the Pals beach, the coastline is not visible from course. The pines are the dominant view. 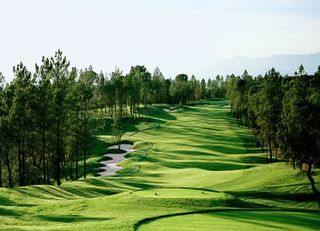 While Hawtree has a clever design and the course has some exciting holes, the pines have created a similarity to the holes which makes no hole stand out from another, *except #11*. For the non-golfers in the group, there are some fun bike trails running through the forest and the coastline. There is also the mediaeval city of Pals just a few kilometers from the course. The ancient city looms on the hilltop overlooking the modern town below. Plenty of photo ops for the interested.